Right now, only 34% of Georgia's third graders are reading proficiently by the end of the school year. This means 2 out of every 3 third graders cannot read proficiently in Georgia. Why does this matter? Because third grade is when children make the shift from learning to read to reading to learn. And if they cannot read, they won't be able to understand nearly half of the fourth-grade curriculum. As a result, these children fall even farther behind in school. Given the course of brain development, it is not surprising that young children who are exposed to certain early language and literacy experiences usually prove to be good readers later. Just as a child develops language skills long before being able to speak, the child also develops literacy skills long before being able to read.National Research Council. (1998). Preventing Reading Difficulties in Young Children. Washington, D.C.: National Academy Press. Researchers found that when mother frequently spoke to their infants, their children learned almost 300 more words by age 2 than did their peers whose mothers rarely spoke to them. Huttenlocher et al., 1991. Early vocabulary growth: Relation to language input and gender. Developmental Psychology, 27, 236-248. 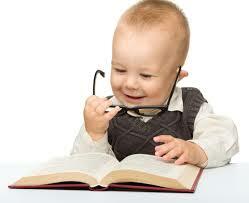 Books contain many words that children are unlikely to encounter frequently in spoken language. Children’s books actually contain 50% more rare words than primetime television or even college students’ conversations.The Read-Aloud Handbook, by Jim Trelease. Children in low-income families lack essential one-on-one reading time. The average child growing up in a middle class family has been exposed to 1,000 to 1,700 hours of one-on-one picture book reading. The average child growing up in a low-income family, in contrast, has only been exposed to 25 hours of one-on-one reading.McQuillan, J. (1998).The Literacy Crisis: False Claims, Real Solutions. Heinemann. On average, children in economically depressed communities have 0-2 age appropriate books in their homes.Jeff McQuillan. The Literacy Crisis. California State University, 1998.